One fighter is competing for his country to accept the sports with arms wide open. While another fighter is keen to get a feather in cap. Will Siver severe Winner's record, or will Winner triumph against all ill-memory? 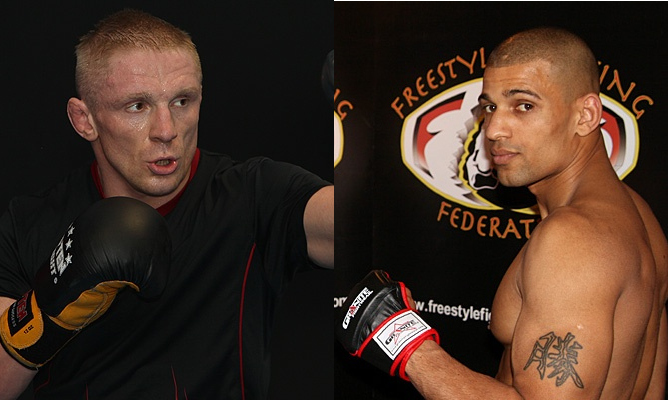 Though no bout agreement has been set, verbal accord are in place and lightweight Dennis Siver and Andre Winner are expected to meet at UFC 122. The event will take place on November 13 at Konig Pilsener Arena in Oberhausen, Germany, and will air on Spike TV via same-day delay. The Siver-Winner bout is anticipated to air on the televised portion of the event. Siver, a resident of Mannheim, Germany, will fight on his home turf after gracing the promotion’s first trip to the country on UFC 99. He will come from an impressive victory over Spencer Fisher at The Ultimate Fighter 11. Winner, on the other hand, is intent on erasing the memory of a lopsided decision loss against Nik Lentz at UFC 118. Can Siver achieve another conquest in his motherland? Or will Winner be what his name is shouting about this time?